"Let's go for a ride. We are moored starboard side to a wall that runs along the beach. We will make preparations to leave now, if you're ready. Gardner, start the engines. Mack, take the throttles, Ellis, take the helm. Taylor, get on the conn to handle signals. Parrott (cox'n), get two men forward to handle the lines. Smith and Simmons, take the stem line. Daniels, lets have chow at 1700. Tuohy, stand by the radio. Ensign Dowling, stand by the flag bag. All set? here we go. Up on the conn there is room for Mom, Dad, and sister Jan. We note how the wind is setting us down and check the tide and current. Now we are set. I holler through the megaphone, "Cast off the stem line." Then shouting down the voice tube: "Port engine ahead idle. Hard right rudder. Port ahead eight (800 rpm)." With our bow line still on, we let the engines swing the stem out. When it is far enough away from the dock we say, "Stop port, rudder amidships, port back eight, cast off bow line (this must be done quickly and smoothly), starboard ahead eight." We swing out. Then we say, "Helmsman, steady on course 030," and once we're out of the mooring spot, we go all ahead eight, and once out of the harbor we go to fifteen, and we are underway. Coming into the mooring is a little more difficult. It is all in making the proper approach the first time, but there are many instances when even an experienced skipper gets fooled by the wind." throttles and gears of the three engines, the radioman (though often as not the radio did not work or we were under radio silence). The assistant-officer-in-charge placed himself behind the pilot house to stand by in case the skipper were hit by rifle fire or shrapnel; he also operated the signal flags and decoded them if necessary. [On both the Mark V and Mark VI LCTs four crewmen went forward to the storage lockers under the bow, two to starboard and two to port. The five-ton ramp was operated by a gasoline-powered (also quirky) winch, but if the power failed in the starboard locker, the hand-powered winch was operated from the port locker. One or two of the crew loosened the turnbuckles and toggle bolts that secured the ramp to the bow so the ramp could be dropped to the beach. On April 6, 1945, six days before the death of President Roosevelt, our Commander in Chief, I was made skipper of the command craft of the group, LCT 1045.It was a proud moment for me. I'll tell the story of the 1045 in my next. Lt.(j.g.) 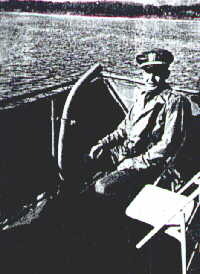 William D. Baker, USNR, retired in 1946. Bill also served on two other LCTs in the Med, the 1040 & 1045 and has sent in information for those pages. See below on how to order his new book The LCT Story. 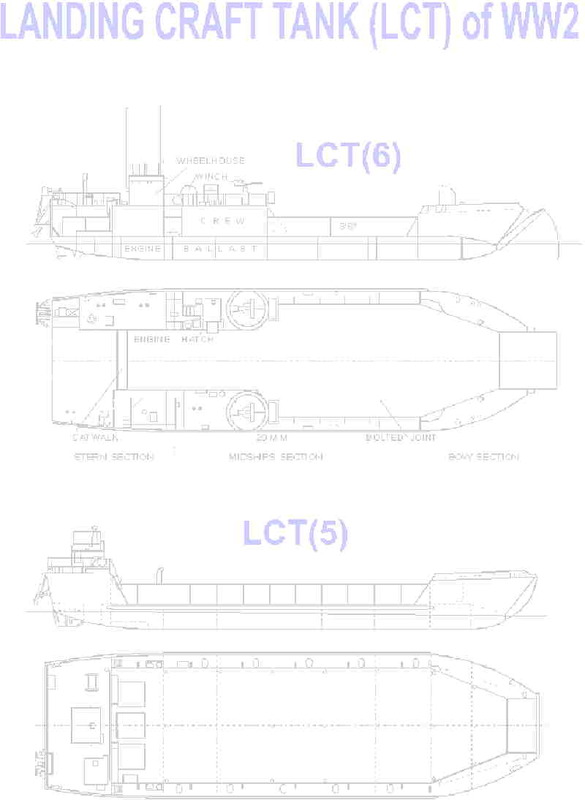 LCTs (Landing Craft, Tanks) were crucial fighting vessels in the amphibious warfare of World War II, but until now no separate history had been written of their use in European landings. "The LCT Story and Victory in Europe" tells how LCTs were used in the Atlantic and Mediterranean theaters. It includes perspectives by Admirals Hewitt, Kirk, and Lowry, and by on-the-spot commanders in charge of assault waves at Omaha Beach and Southern France. But the essence of the record is in the immediacy of the authentic action reports of dozens of young navel officers as they hit the beach. Here is true history in the making, war reporting as vivid as we are likely to find. Until 1972 the action reports as well as some statements from the admirals and commanders were classified secret. I discovered them in the naval archives only recently. Following the LCT story is a collection of sixty-four annotated letters that I sent home from the Mediterranean in 1944-45 when I was an LCT skipper. I served on Lcts 1040, 34, and 1045. Over thirty-five photographs enhance the text.